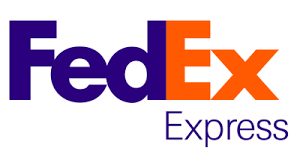 FedEx Corporation (NYSE: FDX) stock fell over 5.1% on 20th March, 2019 (As of 10:12 am GMT-4; Source: Google finance) after the company slashed its full-year earnings outlook & missed the earnings estimate. Fedex issued weak full-year 2019 earnings per share guidance. It now expects earnings per share in the range of $15.10 and $15.90 for the 2019 fiscal year ended May 31 compared with a forecast of $15.97, according to analysts surveyed by Refinitiv. The company expects fiscal fourth-quarter earnings per share to be between $4.58 and $5.38 compared to the estimated $5.39. The weak full-year outlook is fueling fresh worries FedEx is losing ground to delivery rivals such as United Parcel Service Inc and Deutsche Post DHL Group. Analysts are also blaming the company’s mounting weakness on the cost of launching year-round, six-days-per-week operations at FedEx Ground in the United States. Operations of the company’s international Express business, which includes Dutch delivery company TNT Express, are also palpably weaker. FedEx had bought TNT Express in 2016 for $4.8 billion and has had difficulties integrating it into its own network since then. Integration has also been far too costly. FedEx now expects integration costs to exceed $1.5 billion. The company has restructured management, including those at its Express division, offered voluntary buyouts and limited discretionary spending to curb losses. Moreover, slowing international macro-economic conditions and weaker global trade growth trends continue. Asia volume weakness, which we experienced during peak season, deepened post-Chinese New Year. Reflecting these macro challenges, FedEx Express International revenues declined year over year in the third quarter. US volume growth continued to benefit from the expansion of the E-commerce solutions, but yields were pressured by this expansion, lower weight per shipment, and service mix changes. FDX in the third quarter of FY 19. has reported the adjusted earnings per share of $3.03, missing the analysts’ estimates for the adjusted earnings per share of $3.11.